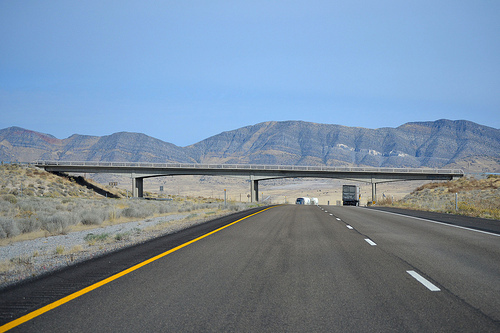 The Wyoming Department of Transportation advises travelers that on Monday,June 1 into early June 2 there will be nighttime closures on Interstate 80.The location is the eastbound lane at milepost 356.7, approximately two miles west of Cheyenne. Crews will be installing a new Overhead Dynamic Message Sign. Closure times will be 11 pm to midnight, 1 am to 2 am, and 3 am to 4 am. This will be the first of several nighttime closures on Interstate 80 for the installation of Overhead Dynamic Message Signs this construction season. The emphasis is on road sections that most commonly experience unpredictable weather patterns. The closures will all follow the same type schedule as described above. milepost 245 eastbound lane – Approx. 10 miles east of Walcott Jnct. I80 is closed to light, high profile vehicles between Cheyenne and Laramie due to extreme blowover risk. Wind gusts 65+mph. State law allows for a fine and/or jail time for failure to comply.